I'm so in love with this. Perfect for what's been in my mind and has yet to get out. Must. Make. Soon. Well now, dottie's done it! Thanks ever so for sharing your pie in the sky tutorial. Pity, I've lost me rose colored specs and can't do a thing without them. I'm thinking they may have toppled into the bread dough, mayhaps upon slicing into the wholesome grain loaf they shall be discovered. 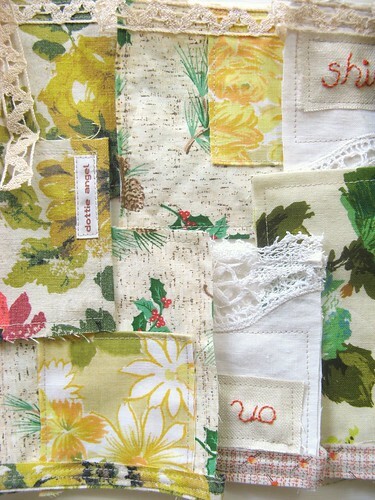 Let's do hope so, for there is a wayward cushion in my studio awaiting some rosy perspective. ...and only then might I set off to 'whatnot' garlandry bliss. Ah lovely! Oh you are too funny if not too crappy at times! That little garland is just gorgeous. I actually thought you had a pile of serviettes instead of fabric at one point. Maybe that could be an alternative? Love the sneaky doilies that have popped up again. Did you have suitcases of them left to you by a relative? Quite beautiful, and made even more beautiful by being ethically sound! 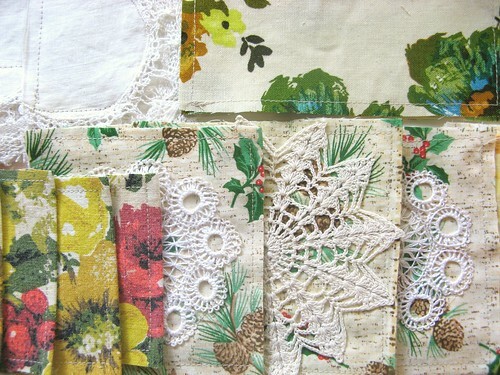 I can't wait to get my sewing machine out and get to work. I wrote you already an email a few minutes ago - it is not nice to publish such an inspiring post at 10:37 AM (your time) which I read only a few seconds later at 10:38 PM (my time)! And the way you sew reflects the way I do..... stick it together, stand back occasionally, trust your instincts, go with the flow, use every last scrap of usable stuff. Will definitely make one of these for my munchkin's room. Your instructions are definitely NOT iffy, but I couldn't even manage this much sewing. Sad, but too, too true. I would love to purchase her! I love the saying, and the colors, and the bits and bobs. Pretty much everything! As always, you rock. ooooohhhh, pretty, pretty, pretty! -- thanks for the inspiration! This is great! I can't wait to make one now. This is so inspiring. Yes that's right...The utmost kind!!! I am sure you will hear this a zillion times but once more for good measure...WELL DONE!!! oh thank you most kindly for making my 'whatnot' garland tutorial appear achievable... and delighted it was not 'iffy' at all. I'm in love with this garland--since the moment I laid eyes on the first one you showed us. Thank you for the tutorial! I must make one. I don't even know how to sew properly, but I must have one of these. Or twenty. Fantastic, Tif - I am congenitally incapable of following instructions, measuring precisely or planning in advance, so here you have designed my perfect garland! I shall be back in an attempt to force myself to read your 'instructions-lite' - surely I could manage that much! And I shall be back for the giveaway too, which would solve the problem, wouldn't it? oh miss Tif i don't mind saying you are a tutorial genius! and this is possibly the best kind of crafting ~ no measuring and not much pinning, just get stuck in and have fun... love it! Oh! I love it!!! LOVE IT! 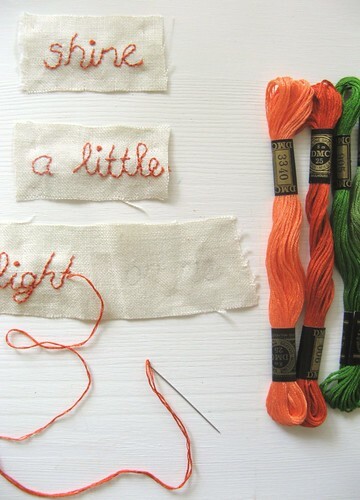 What a fun and simply charming project! Love it! 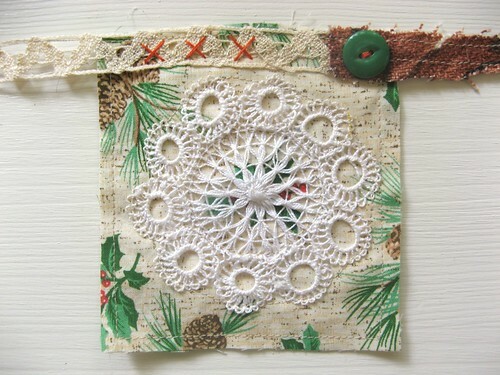 I love your style (though the whole world seems to be sold out of doilies today) and thanks for making me smile too, yours is the only blog I make sure I read every word of! pretty and fun. 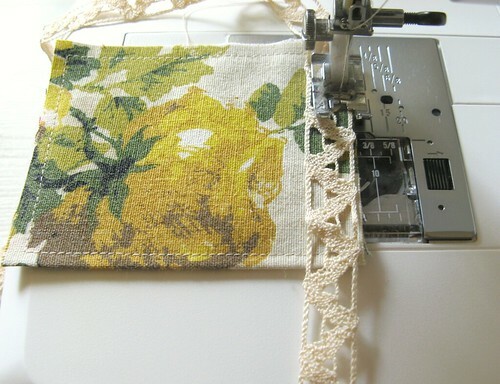 "eyeballing it" is my favorite way to sew, so a perfect project for me! 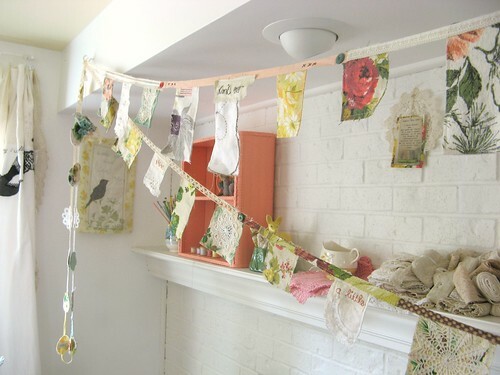 I absolutely adore these garlands and am beyond excited that you shared the tutorial. Thanks for the tutorial - it is such a fun read in itself and I love the no measure, no nonsense, get stuck in and have a go approach - wonderful ! Happy days to you Tif! that has to be the best compliment of all time... not to be a 'cookie cutter' garland maker. it has made my day and quite possibly my handcrafted thrifty year!! This is one of the most beautiful things I've seen in a long time. I've borrowed a photo with credits to you and put it on my blog, If that's not ok please let me know. I'm still not sure how things work regarding photos etc. 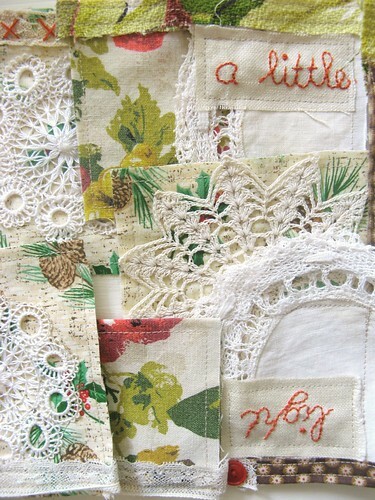 I'll be making one of these for sure this christmas, it's really lovely. 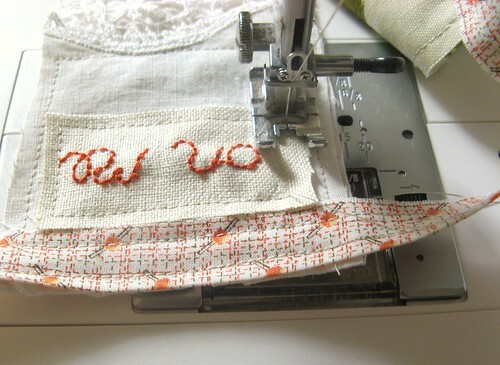 All these years, who knew I sewed the 'The Dottie Angel Way'...! Lovely to find a kindred spirit that proves that 'our' way is the fun way!!!! Off to make my garland! Sweet! I love all your little details that make it so you. Ooooh! I L-O-V-E this so-o-o much and want it NOW! Then I read to the end and see it could be mine, all mine after Monday. Let that be so otherwise, I'm just going to have to make my own [very] iffy style one from your [very] uniffy destructions! 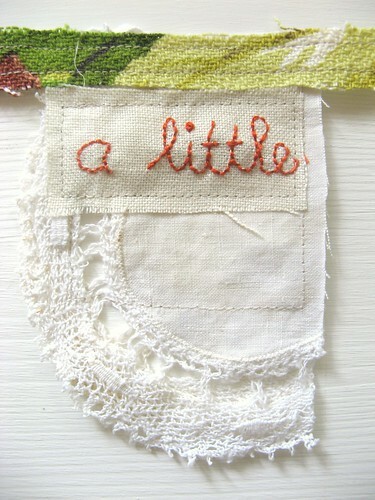 I love how encouraging and playful you are about creating beautiful pieces. I also love the 'no tools' rule as I often head in that direction out of pure adventure and lack of focus. It makes for great learning experiences. You're the best, again and again! thank you for sharing! 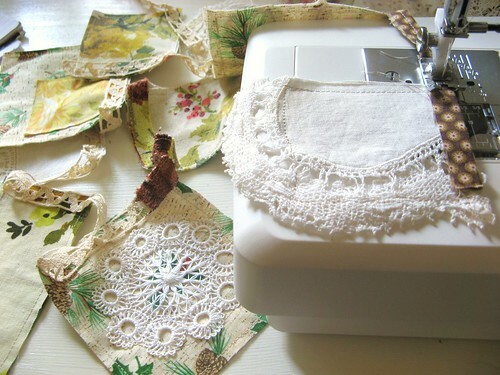 i have a pile of wee fabric scraps i was going to turn into a garland and never thought to use many lengths of lace/ribbon/etc. brilliant! Can I link this link to my blog..pretty please.. 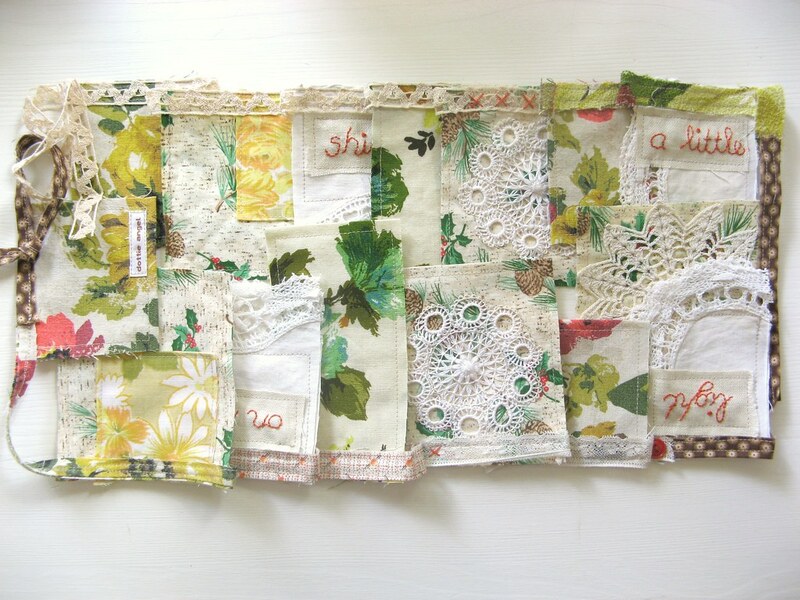 I found you through Sew, Mama, Sew! 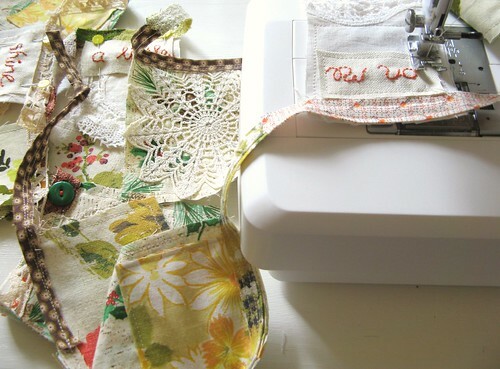 Thank you for sharing your style, and giving us 'instructions' and more importantly inspiration...I have started collecting luncheon serviettes for what purpose I don't think I knew until now...I am going to love making a garland of loveliness! As with everything you do; I am in awe once again. You make my heart sing and my eyes smoky thinking of all the bits I can make. I will be going to my studio to retrieve my sewing machine as I have chosen to work from home with #'s 1-5 close at hand and trusty poodles at my feet. The only frustrating part for me is the lack of doilies in my collection. I have been thrifting and not finding any for a good price. I am hoping to come across a discarded box or bag at one of my stops. 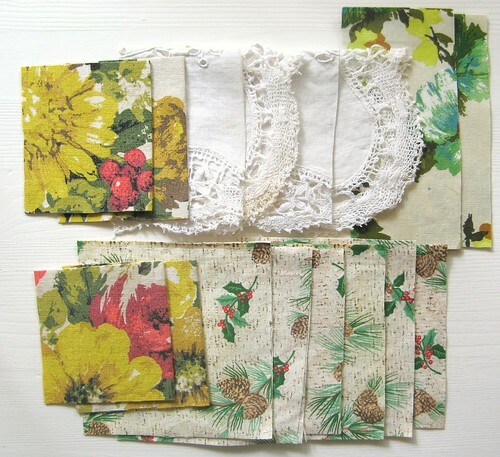 In the meantime; I am off to craft some vintage fabric pets for the wee ones in my world. i don't really sew, but i have a pair of rose colored glasses and a sewing machine (that i use for scrapbooking). i just may be able to do this little project.